Excellent, full content, great tutor, extremely patient. Great course. Spending time/sleeping on the boat allowed for great ability to gain confidence. It was an amazing adventure. Lots of different things to see and do. I can’t wait to start sailing again. We saw Hectors Dolphins which was incredible! Was a great mix of fun and sweat. We learnt a lot, both theoretical and practice. Felt well supported through the whole experience. Dave was fabulous. Easy company and also an excellent instructor who was always in control. Dave was magic with the kids. This was such an amazing experience. I was really worried, but keen. After the course I feel so confident in my ability to learn more and I have fallen in love with the ocean. Dave did an excellent job to train us individually and as a crew, plus he is an amazing cook. Really relaxed vibes and learnt heaps. Food was bloody good too. Covered everything. Heaps of fun. Gained a huge amount of knowledge, good course structure. Good teamwork on board. Kat was an excellent instructor. Excellent journey, I am planning to do this experience again. Fantastic. First class in all areas. Very Encouraging, never a cross word. Positive and Kat knew her subject extremely well. I really appreciated Dave’s calm, cheerful and positive approach. He inspired confidence. I felt free to ask lots of questions, his experience is obvious and his enthusiasm for what we were doing felt genuine. I’d definitely recommend this course and look forward to more. Very helpful to sail for a week with continuous education. Because of his great experience and calm Dave allowed us to have a go at everything without causing anxiety. Dave was a great cook, sailor and instructor. Great week, lots of fun, learnt lots. Exceeded expectations. Dave is an excellent tutor. Thorough, patient, fun and with an enormous bank of experience from which to draw on to illustrate his teaching. If you want to improve your sailing skills – or a beginner – you can’t go wrong with this course. It is so informative, pitched to whatever level and great fun. Don’t hesitate – just do it! Legend. High level of knowledge. Professional and personable with great stories of his experience at sea. Made the course even better. Great instructor. Very calm. Clear instructions. Wealth of knowledge. Great food. Good laughs. Always felt safe. Would recommend course to others. Excellent course providing practical experience by a very knowledgeable skipper who tailored content to each individual…..look forward to the Coastal Skipper course. Very informative course. Been sailing part time for years – great to be on a course learning so much as refresher and new knowledge. Surpassed my expectations. A very well spent week – wish I had done it years ago. Learnt very valuable techniques to enable me to enjoy a more complete control of my boat. Many thanks. Fantastic course. Highly recommended for anyone contemplating keel boat sailing or ownership. Dave is a perfect tutor, mixing patience with calm throughout and revealing the simplicity in every aspect. What an epic week that turned out to be. Fantastic. I have been left with a very high regard for Dave, the Farr 1020 and your organisation. Thank you. Had a lot of fun and really felt like skills and confidence improved over the week. Dave is hugely knowledgeable and calm under pressure – an inspirational teacher. And a mean cook! Again, everything was perfect in this 2nd course I took at the Sail Nelson school. 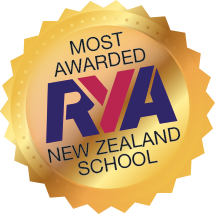 …a safe learning environment, practical experience gained was wonderful & there was much time for practice and repetition to practice all the skills, leaving me wanting to sail more and learn more. Really thorough and well taught course which will give me all the tools to sail better & safer. Couldn’t have asked for better. Everything was spot on. Dave could not have been a better instructor. He was constantly teaching and sharing knowledge. Cannot get across just how helpful Dave was. Had a great time this week sailing in some stunning locations…. Dave has excellent teaching methods and made the whole week a fun experience. Awesome!! First time sailing, loved it! Chris was awesome. Learnt heaps!! He made everything easy to understand. Brilliant!! Awesome 5 days! Good food! Good company! Gave myself a better knowledge of sailing… very good… very patient, great experience of sailing the world’s oceans, great teacher. I feel the course covered everything I needed to make me a better sailor. A very good week, great sailing, beautiful area. The instruction was excellent, I have learnt a lot through the course and greatly enjoyed it. Great quality instruction. Jiri really helped explain issues clearly and with enthusiasm. I booked this course to gain experience, having already qualified as a Day Skipper. Jiri was excellent. Calm, knowledgeable and a brilliant teacher…. He made the week excellent. Jiri is an exceptional instructor who instructed everyone on board (various levels) to a superb level. The instruction was extremely motivational and inspiring. A very amiable and personable young man. Had a very good time. Learnt a lot and Jiri increased my confidence with sailing massively. Excellent teaching.